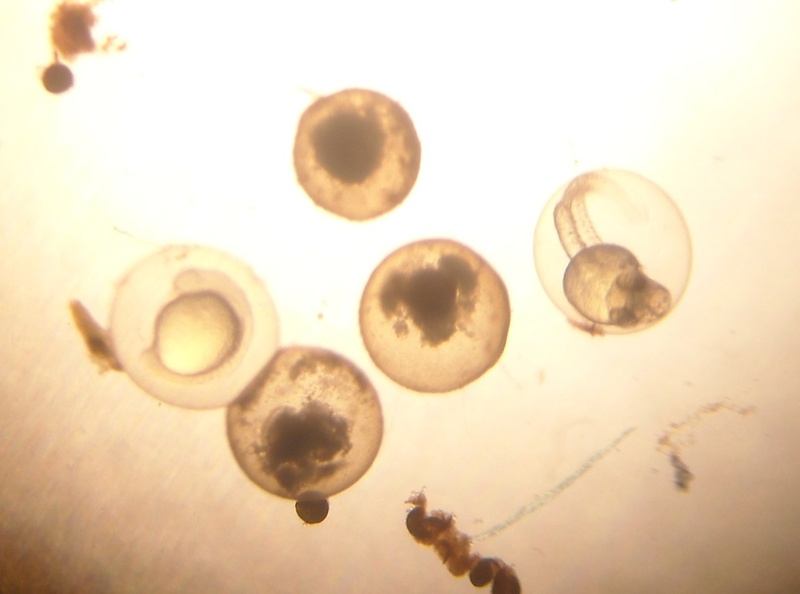 It's Day 3 of the 7th grade zebrafish experiment, and the embryos have already developed considerably since yesterday. Today we updated our counts, noting how many embryos were viable and how far along they are in their development. 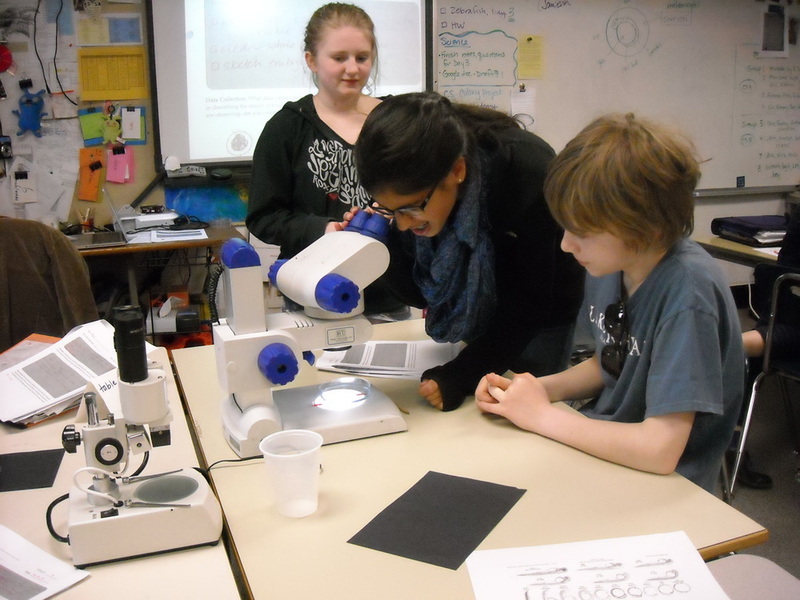 On many embryos, students can see somites (the cells that become skeletal muscle, cartilage, and tendons) and melanocytes (the cells that carry melanin). We are most curious about the development of pigment in the embryos; our hypotheses focused on what the phenotypes (physical appearances) of the offspring will be based on the pigmentation of the adults.